Another Tutorial Which Explains The Concept of Removing PIN from User Account. 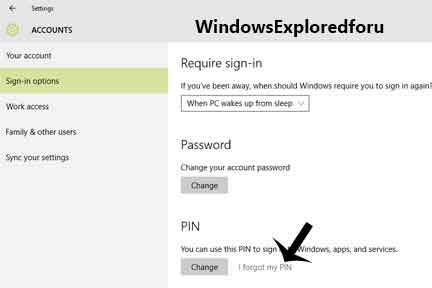 Just Follow the Upcoming Steps for Removing PIN. Step 1 : Log on to Your User Account. Step 3 : Click On Accounts. Step 4 : Click On Sign-In Options Which Will be i Left Pane. Step 5 : Look for PIN On Right Pane. Step 6 : Click On Forget My PIN. Step 7 : Enter Your Password and Click On OK. Step 8 : Don't enter Anything on New PIN and Confirm PIN,instead Click on Cancel. Step 9 : Close the Window. 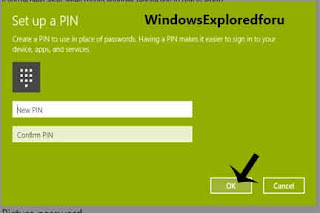 That's All You Have Successfully Removed PIN from Your User Account. Logesh August 26, 2015 Let me Share my thoughts!